There are two main ways to implement Knowledge Management. You can roll out a KM solution across the organisation, or you can take a business focused approach. Mars did the latter. One of the Case Studies in my latest book "The Knowledge manager's handbook" is written by Linda Davies, the Head of Knowledge for Mars. Linda explains how, from a very early stage, her KM program was clearly focused on the needs of the business. "KM in Mars started formally in 2003 with a KM conference attracting around 100 associates from around the business. Initial KM work-streams in that first year led to a second conference one year later that came to the attention of the Mars CEO. The great excitement at such senior support was rapidly muted by his strong guidance that whilst he “instinctively believed that KM would benefit the business”, until he could understand specifically how it would help the business, the conference could not go ahead. "I now look back on that series of events and see it as the key which unlocked KM at Mars. It taught me the utmost necessity of knowing why we were doing what we were doing, of focusing on the business need, and determining the size of the benefit KM could bring. And it highlighted that unless we ourselves could clearly explain the importance of our activities and how they would help the business, we could not expect anyone else to understand KM and what it could offer." 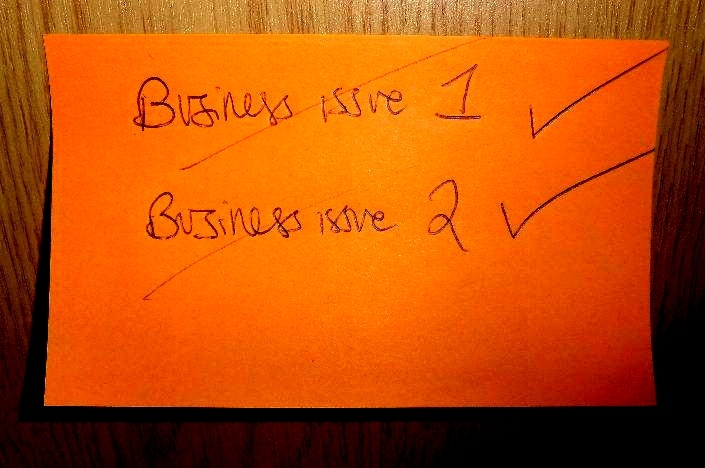 Linda went away and re crafted her Knowledge Management Strategy to be entirely business focused. 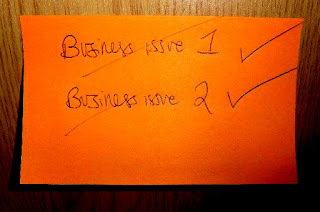 Then, instead of rolling out KM tool by tool (blogs this quarter, improved search next quarter) she rolled out KM business issue by business issue, at a rate of no more than two or three business issues per year. "The power of focusing on two or three challenges in any one year became apparent, resulting in rapid progress and big wins and proving the concept of the value that KM can bring to the business. This led to a regular increase in KM budget and resource which enabled subsequent initiatives. The principle of focus became core to the KM team, with a structured plan submitted each year containing initiatives clearly focused on a maximum of two to three key business objectives". This is a completely different implementation strategy to almost every other Knowledge Management strategy you read about. It was a business led strategy, focused on solving business issues, and driven from the very top of the company. It made her some powerful friends in high places, and to date has delivered knowledge-enabled value in excess of £1 billion. I often write about being business-led in KM, and Linda's story was one of the most complete examples of this that I have seen, as well as delivering huge value to Mars. It stands as an example to all KM initiatives, and it won the award for "Best KM Implementation" at KMUK in 2011. Consider this approach as you plan your KM implementation; it is an approach wth proven success.